The enigmatic DJJ took the underground by storm with his contagious debut single 'Just a lil' in 2015. With a simple formula of looped samples and beats filtered with a lo-fi aesthetic, DJJ presents a classic house sound with an individuality and a warmth that is hard to achieve in today's dance music climate. DJJ is also one half of Welsh duo ISLAND, who's debut EP Nokia saw the exploration and deconstruction of Grime with familiar techniques heard in DJJ's solo productions. ISLAND'S productions can be seen as an experimental outlet, but DJJ's solo efforts have often been described as infectious and uncomplicated, leaning more towards an accessible style of dance music that defies genre and demographic. 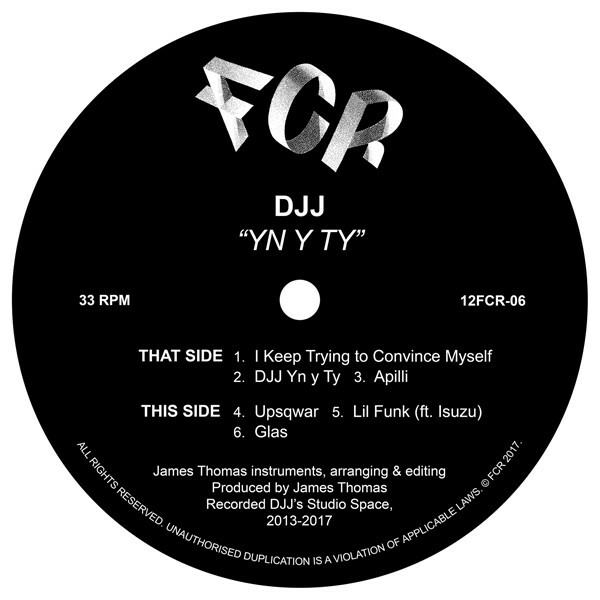 Through the use of beaten and battered hardware, DJJ's production techniques are as much as a mystery as the man himself, leaving tech-addicts in bemusement about DJJ's production methods that shouldn't work, but always do. DJJ's fidgety use of samples calls back to the saturated funky house of Thomas Bangalter and Todd Edwards early 12" singles. It's the firm UK influence of Garage and Grime with glossy and sun-tinged sample usage that sets DJJ into a league of his own. FACT Magazine coined the genre 'outsider-Ibiza' just for DJJ, if you're ahead of the curve you have to be an outsider, but DJJ's just waiting for everyone to catch up.